Parsnip, beetroot & carrot crisps with sea salt. Great taste 2017. Gluten free. No artificial ingredients. 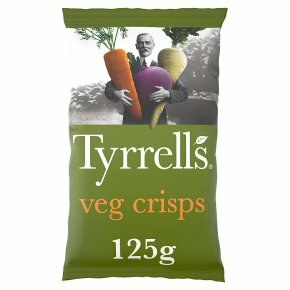 Suitable for vegans.A magnificent medley of finest vegetable crisps, made to sing with a pinch of sea salt.